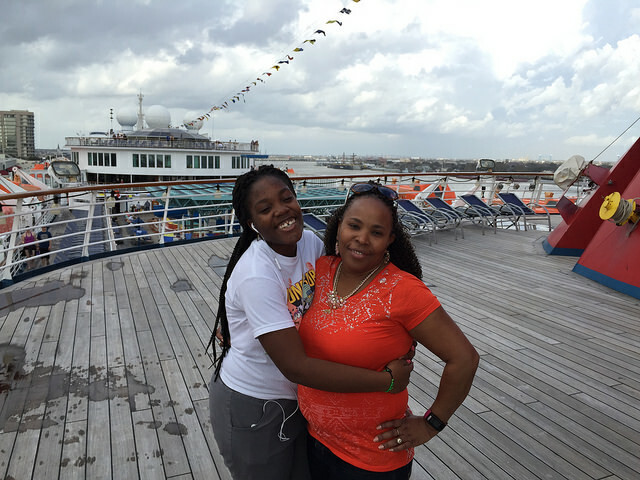 Several inclusive cruises from New Orleans are offered by top Caribbean cruise lines annually. In some cases, one is able to find a particular year-round sailing, while other itineraries are only available during some months of the year. The New Orleans Port has risen in popularity over the years and currently hosts three (3) top Caribbean cruise lines: Carnival Cruise Line and Norwegian Cruise Line and Crystal Cruises - a luxury brand. Together, these three cruise lines offer over 100 inclusive cruises from the Port of New Orleans every year. Carnival currently has 2 of its Fun Ships sailing from New Orleans: Carnival Triumph and Carnival Dream. Carnival offers year-round cruises from New Orleans via Carnival Triumph. You can always find a 4-day or 5-day Western Caribbean cruise via “Triumph” to ports of call in Mexico – Cozumel and Progreso. Carnival Dream also currently provides year-round cruises from New Orleans, offering 7-day cruises to Key West and the Bahamas. The Dream also offers 7-day and some 8-day itineraries from that port to the Western Caribbean. 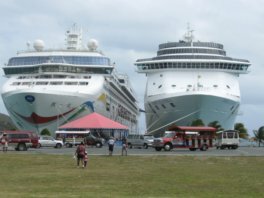 Not to be out done, Norwegian Cruise Line also has two ships that offer cruises from New Orleans to the Western Caribbean. The ships are Norwegian Dawn and Norwegian Pearl. The Norwegian duo of ships offer 5-day to 8-day itineraries from New Orleans. Completing the trio of top cruise lines is Crystal Cruises. This luxury brand has one ship offering a handful of sailings to a mixture of Eastern and Western Caribbean ports of call. 1. Carnival Triumph offers 4-day cruises to Cozumel, Mexico. 2. Carnival Triumph also offers 5-day cruises to Cozumel and Progreso, Mexico. 1. Carnival Dream offers limited 7-day cruises to Key West and the Bahamas. 2. 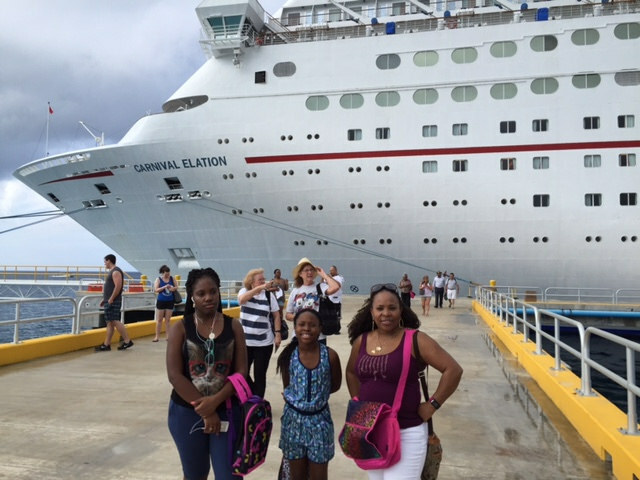 Carnival Dream also offers 7-day and some 8-day cruises to Jamaica, Cayman Islands and Mexico. Norwegian Dawn offers limited 5-day cruises to Mexico. Norwegian Dawn offers 7-day and some 8-day cruises to Cozumel, Belize, Roatan and Costa Maya, Mexico. Norwegian Pearl offers 7-day and some 8-day cruises to Cozumel, Belize, Roatan and Costa Maya, Mexico. This ship offers limited 14-day cruises to ports in the Eastern and Western Caribbean. Note: All itineraries listed above are subject to change at anytime by the respective cruise lines. Booking a cruise ship vacation from New Orleans is easy. Finally, you may call the cruise line directly to book New Orleans cruises. 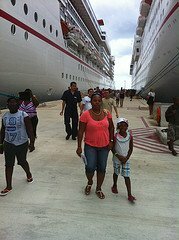 As you can tell, the Port of New Orleans offers several cruise itineraries to the Bahamas, as well as to the Eastern and Western Caribbean. 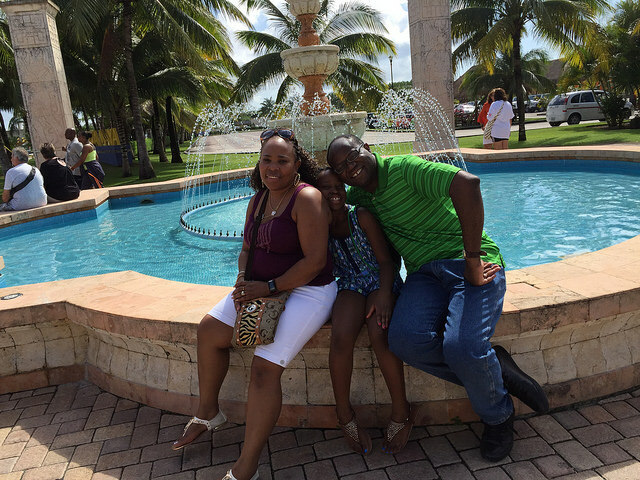 As you plan your family's cruise vacation, you should not have a problem finding inclusive cruises from New Orleans.